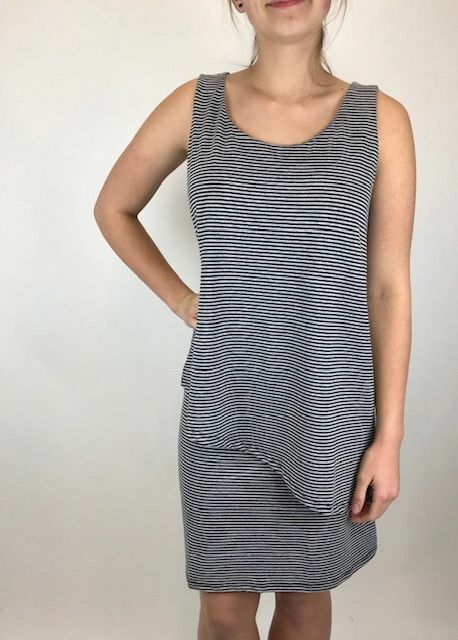 A black and grey striped dress with a fun 2 tiered layer. 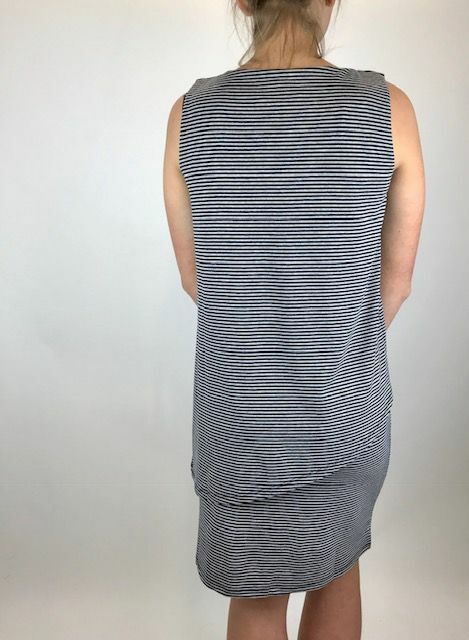 This piece has a great feel and wide straps for easy bra coverage. Hits around the knee on most gals. Add leggings during the cooler months too!